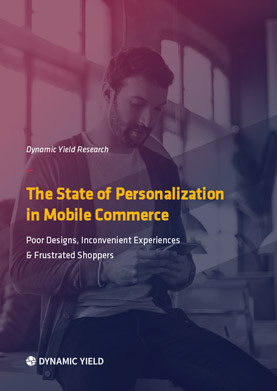 To understand buyer habits, preferences and opinions on mobile shopping experiences, Dynamic Yield surveyed 500 shoppers who have made a purchase on a mobile device in the past month. The results show clear dissatisfaction with the state of mobile shopping, presenting an enormous opportunity for retailers to win hearts, minds, and wallets by delivering better experiences. In this report, you’ll learn the consumer point of view on mobile shopping and be presented with a wealth of valuable data on the state of mobile eCommerce.